In the episode, Starbuck returns to the human fleet bearing the Arrow of Apollo. President Laura Roslin leads a team to the surface of Kobol to find the Tomb of Athena and a map to Earth. Commander William Adama overcomes his anger at Roslin and her allies and joins them on Kobol, where the Tomb provides a clue to Earth’s location. The fleet is reunited. According to executive producer David Eick, who wrote Part 1 and co-wrote Part 2 with executive producer Ronald D. Moore, “Home” is more about character development and relationships than about story. The episode received favorable critical review. Moves the story forward, but with little action. 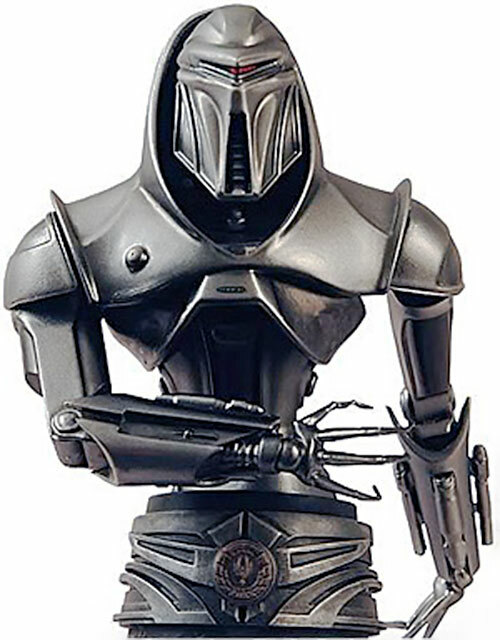 In the episode, Cylons capture Kara “Starbuck” Thrace and hold her in an abandoned hospital, where they are performing experiments with human reproduction. Starbuck escapes and leaves Caprica to return to the human fleet. Commander William Adama returns to command of the fleet, but President Laura Roslin persuades almost a third of the fleet to follow her back to Kobol. According to executive producer Ronald D. Moore, the production process for “The Farm” was one of the most contentious of the second season. Starbuck’s portrayal in “The Farm” has attracted academic study. Critical reaction was mixed. This episode manages to actually present a Science Fiction theme – the role of women in a post-apocalyptic society. Then it just throws it away as we know Starbuck (a main character) will ultimately return to the fleet. It would have been interesting if it has involved a female that really had an option. Marines fire on civilians following Colonel Saul Tigh‘s declaration of martial law. President Laura Roslin and Lee “Apollo” Adama escape Galactica, Commander William Adama recovers, and Specialist Cally kills Galactica-Boomer. On Caprica, Starbuck and Helo join a human resistance group led by Sam Anders. More examples of lots of shooting but nobody gets hit. These ‘soldiers’ are useless shots. It’s re-watching the whole series and is up to S2 E19. Starting to listen from the beginning of series 2. On Kobol, Crashdown leads an ill fated assault on a Cylon missile battery. Gaius Baltar frags Crashdown, to Head Six’s approval, shortly before the survey team is rescued. 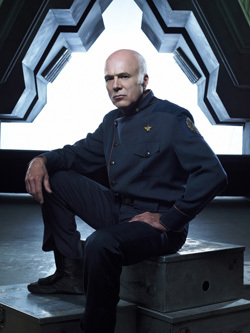 On Galactica, Colonel Saul Tigh’s gambit to discredit President Laura Roslin fails, and he declares martial law. Finally, Baltar get to shoot someone and become a better character. And Tigh finds what it’s like to have a job he doesn’t like. Suddenly this show is getting better, mainly because the conflicts are between humans.